Review: Great track! Easily found. 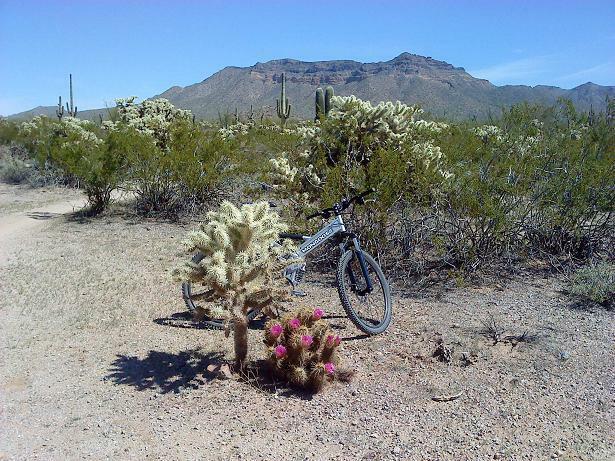 Trails are marked great at Usery mountain regional park. Worth the $6 to enter the park to ride. Many trails worth riding. Review: Super fun trail! Easy to ride. No climbing to speak of. Some soft sand in a few washes. Mostly just flowing banked turns. It's uphill starting from McKellip, but not very steep. Going back downhill the other direction is great fun. Speed is only limited by traction and fear of cactii. Review: A fun little trail. Very curvy, with the ability to gather some good speed at points. Not much climbing and Not much in the way of technical terrain. I had fun taking the No So trail from the TH to the Levee, then taking the Levee to Moon Rock, to Blevins and back to the parking lot. Moon Rock Loop MTB Trail 4.33 out of 5 based on 3 ratings. 3 user reviews.